Roomy. Nice water pressure on the shower and modern looking bathroom. Colors and paintings were tasteful. Large fridge. Living room bed was decent. We could leave the windows slightly open even with the AC on to get a little bit of fresh air in the room. Pool was nice though a little small (was mostly used by kids). They were very willing to let us store luggage in a locked room. 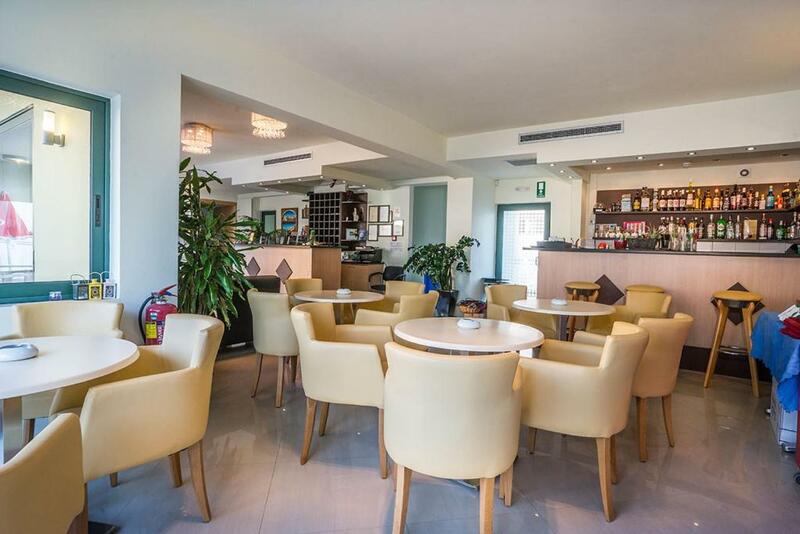 A big room with all equipment you may need and the location is great for the beach. Super friendly and helpful staff. Large spacious apartments with excellent air conditioning. Fresh towels and apartments cleaned every day. Small apartment block, pool area was never too busy. Short bus trip to Chania. The staff are great & helpful. The rooms are spacious, clean & comfortable. Walking distance to the beach. Our children loved the pool. For a family, the value for money is exceptional. We would not hesitate to recommend. Location is perfect, facilities and accomodations are modern and the staff really friendly and helpful! !This is the best place we have stayed in in this location out of 5 holidays!! 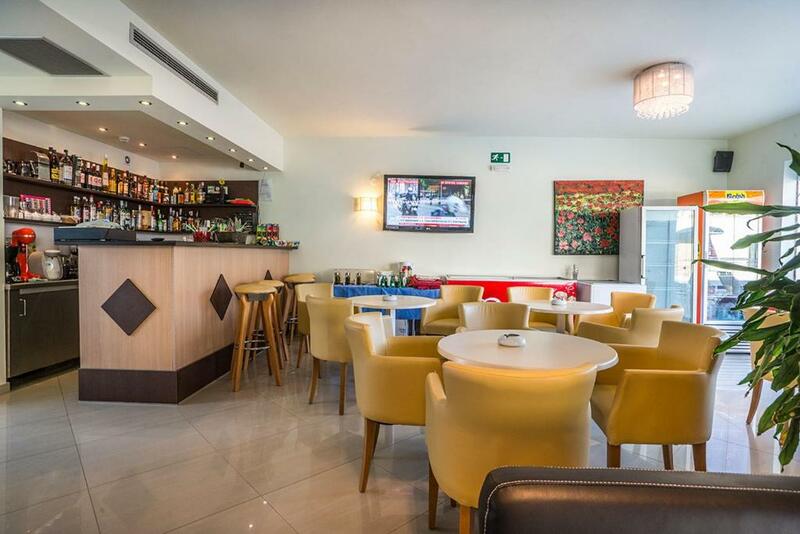 Lock in a great price for Athina Beach Hotel - rated 9.1 by recent guests. One of our bestsellers in Kato Daratso! 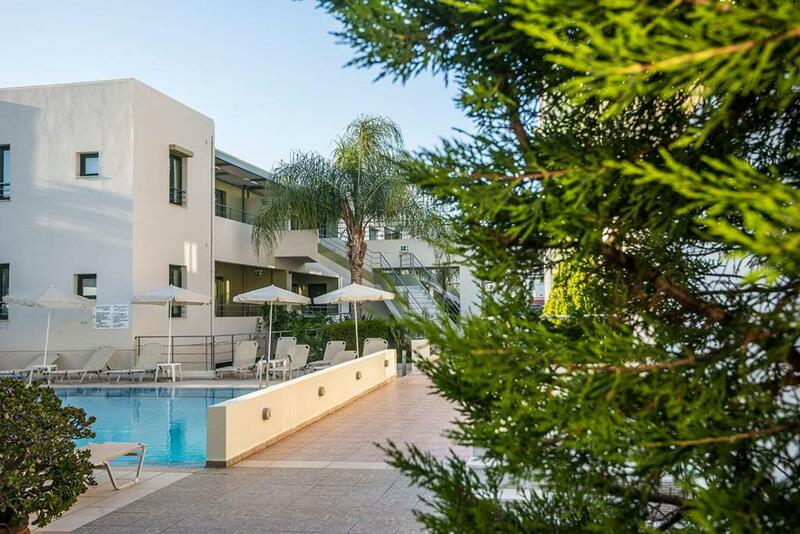 Built on the seaside resort of Agii Apostoli, the modern hotel Athina Beach offers a pool with adjacent bar and sun-lounger terrace. It is only 1.9 miles from Chania Town. 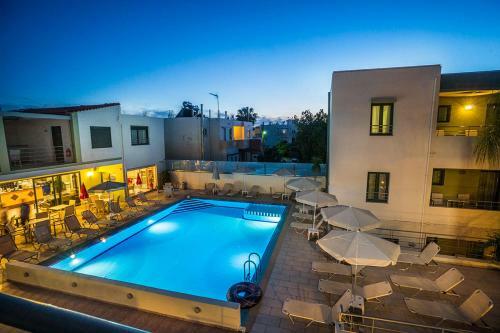 Athina Beach offers self-catered studios and apartments, complete with satellite LCD TV. In-room wired and wireless internet is free, as well as the use of air conditioning. All units include a well-equipped kitchenette with fridge. Safety box is available upon surcharge. There are shops and restaurants within walking distance. A pine tree park separates the hotel from 3 beaches, just 350 yards away. The surrounding area is fully developed with super markets and traditional taverns. Free public parking is possible. This property is also rated for the best value in Kato Daratso! Guests are getting more for their money when compared to other properties in this city. 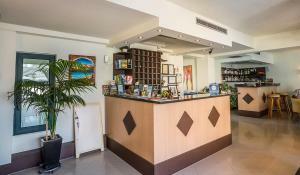 Athina Beach Hotel has been welcoming Booking.com guests since 7 Jun 2011. When would you like to stay at Athina Beach Hotel? Located on the semi-basement floor of the hotel, this studio has a small veranda. This studio is located on the ground floor or the first floor. Large apartment with dining area. Located on the semi-basement floor of the hotel. This unit can accommodate up to 2 baby cots. Large apartment with dining area, located on the ground or first floor. This unit can accommodate up to 2 baby cots. 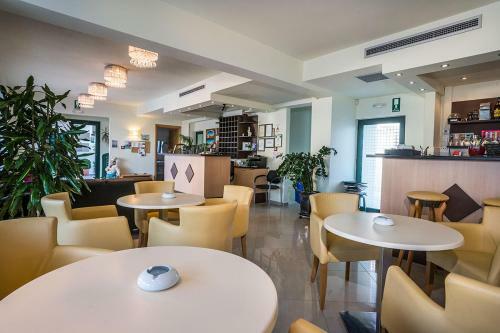 Το Athina Beach Hotel είναι ένα νεόκτιστο ξενοδοχείο στον παραθαλάσσιο οικισμό των Αγίων Αποστόλων. Απέχει 4 χλμ. από την πόλη των Χανίων , 15 χλμ από το αεροδρόμιο, 9 χλμ από το λιμάνι της Σούδας και 4 χλμ από τον κοσμοπολίτικο Πλατανιά. Το συγκρότημα βρίσκεται κοντά στον κεντρικό δρόμο και προσφέρει εύκολη πρόσβαση σε οχήματα και συγκοινωνία αλλά σε απόσταση ικανή να μην επηρεάζεται η απόλυτη ηρεμία. Βασικό χαρακτηριστικό του, ο πολυεπίπεδος αρχιτεκτονικός σχεδιασμός που εκμεταλλεύεται στο έπακρο το άπλετο φως του ήλιου της Κρήτης.Αποτελείται από 15 δίχωρα δωμάτια και 12 μονόχωρα. Δυο από αυτά είναι ειδικά διαμορφωμένα για να φιλοξενήσουν άτομα με ειδικές ανάγκες. Ένα πάρκο γεμάτο δέντρα χωρίζει το Athina Beach από τις 3 ρηχές, οργανωμένες και καθαρές παραλίες καθώς και τη μικρή χερσόνησο με το εκκλησάκι των Αγίων Αποστόλων γύρω περιοχή είναι πλήρως αναπτυγμένη, με παραδοσιακές ταβέρνες, γήπεδο ποδοσφαίρου, beach volley, bowling, παιδότοπο, γραφείο ενοικίασης αυτοκινήτων και στάση λεωφορείου. Οι Άγιοι Απόστολοι είναι το παραθαλάσσιο θέρετρο που βρίσκεται αμέσως μετά τα δυτικά όρια της πόλης των Χανίων και πριν την περιοχή του Κάτω Γαλατά (Καλαμάκι). Αν ακούσετε τις ονομασίες Μακρύς Τοίχος ή Κάτω Δαράτσος, να γνωρίζετε ότι αναφέρονται στην ευρύτερη περιοχή των Αγίων Αποστόλων. Η περιοχή είναι μοναδικής φυσικής ομορφιάς. Έρωτας με την πρώτη ματιά Οι τρεις χερσόνησοι δημιουργούν τέσσερις κόλπους με αμμουδερές παραλίες και ρηχή θάλασσα. Στην περιοχή υπάρχει αρκετό πράσινο. Πάρκα με αλσύλια απο πεύκα και ευκαλύπτους που απλώνουν την σκιά τους ως την άμμο. Άφθονοι χώροι περιπάτου, άθλησης και αναψυχή. Στην περιοχή αυτή υπάρχουν Super Market, ταβέρνες,καφετέριες,παιδότοπος και φούρνοι. House rules Athina Beach Hotel takes special requests - add in the next step! 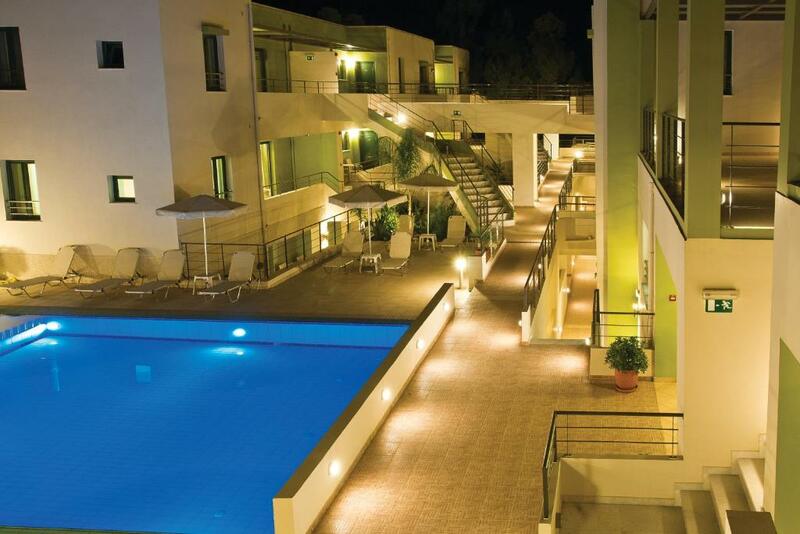 Athina Beach Hotel accepts these cards and reserves the right to temporarily hold an amount prior to arrival. Guests are kindly requested to inform the hotel in advance of their estimated time of arrival. This can be noted in the Special Requests during booking or by contacting the hotel using the contact details found on the booking confirmation. Please inform Athina Beach Hotel in advance of your expected arrival time. You can use the Special Requests box when booking, or contact the property directly with the contact details provided in your confirmation. Mattresses were awful, really hard, uncomfortable and cheap. Pillows were very thin and cheap. The beds kept sliding away from headboard because of wheels. Lots of dead mosquito stains on curtains. Staff did not provide some basic requirements (like dish soap and sponge; we were told the cleaning lady would clean the dishes every morning though the one morning we had left some plates because we were on a rush, she didn't and it was not her day off). Toilet seat was uneven. There wasn't a lot of privacy in general because the room was on the main floor and most guests would pass by and could look through bedroom sliding windows if the opaque curtains weren't closed. Intrusive low quality teenage pop music played by pool during siesta. Most rooms face inward to courtyard, so no view. Professional, friendly staff, extremely high room cleaning standards and modern functional rooms. Excellent location close to all amenities. Air conditioning in the room worked very well. The rooms were clean and in good condition. The lady taking care of daily cleaning of the rooms made her work very well. Ladies in the reception were kind and gave us advice on many things. Just a little bit to much noise from the air ventilation system. To much money for an old room. Balcony received no sun light, the beds were too hard and we would have like to share one double bed rather than two singles pushed together. Drinks by the pool a bit expensive. Great value for price. 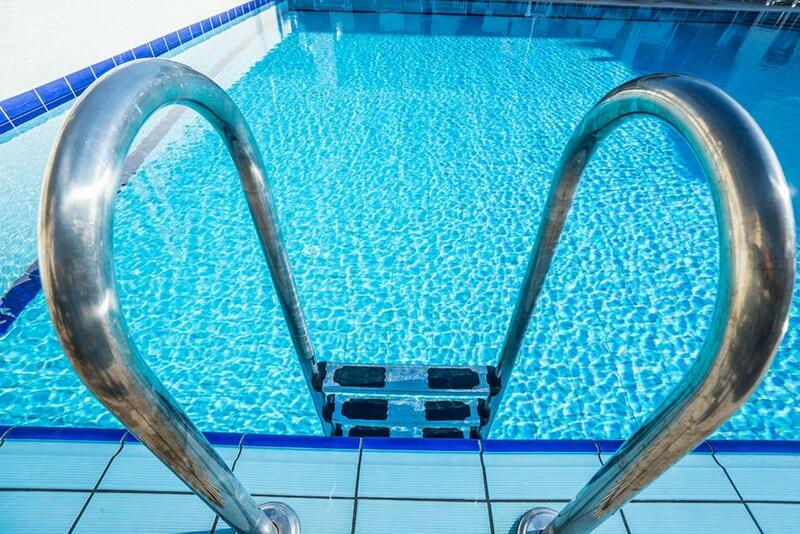 Unable to check out late, as fully booked, but kindly let us use the facilities including hot shower in bathroom by the pool. We had a late evening departure from Chania. We did have car hire, so 30 mins travel to the airport was OK and would recommend the Souvilaki bar by the car hire drop off area as a cheap alternative to the expensive airport offerings. Euro2.50 with all the trimmings! The staff was extremely helpful, booking us onto a Samaria Gorge tour at 1/3 the price of those advertised with pick up two blocks from the hotel. Kitchenette had no cleaning utensils and was very small but it was ok.